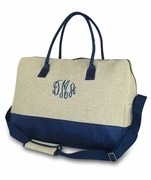 Monogram duffle bag. Love the outdoors.. song birds and gardens? 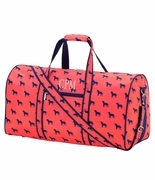 Then this is the duffel bag for you! Titled bird sketch this bag is fun and colorful with its modern and eye-catching design. Pair with bright bold colors for a real wow look. 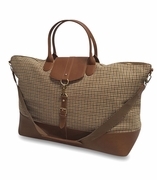 The duffel is ideal for a weekend get-away out of town, to use as a beach bag. Roomy interior with a wide u-shaped opening for easy access to contents. Side to side front pocket for small items and two zipper side pockets will help you organize all your travel items. Wear it over the shoulder for a casual look or carry by hand. Matching lunch tote available for a set, search item SWT-8010BIRD. Bird sketch monogram duffle measures 19"W x 10"H x 10" across the bottom.